As one of the greenest cities in the United States, Seattle doesn’t get its lush reputation strictly from the seemingly endless rain. The city also enjoys some renown for neighborhoods with well-tended gardens, brilliant flowerbeds and its extensive system of P-Patches, the community turf clubs that inspire residents to grow fruits and vegetables year round. But in order to succeed in the soil, you’ll need a shop that supplies the right tools, offers the perfect tips, and helps tenders go from sow to grow with ease. Both serious green thumbs and beginners cultivating for the first time head to spots like City People’s Garden Store in Madison Valley and Swansons Nursery in Crown Hill. That’s where you’ll find everything from tender vegetable starts and impressive packets of seeds, to tall trees and whimsical gnomes to help guard your lawn. Serious shoppers can spend hours delightfully lost in the seasonal flowers and hardy perennials at Swansons. After browsing and buying in the vast greenhouses and the inspiring outdoor area, many customers take a breather at the casual Seasons Café & Bakery, which serves breakfast, lunch, pastries and espresso drinks under majestic indoor trees. Swansons is also known for its wide variety of housewares, plus a sharp staff that can answer the most challenging garden questions. 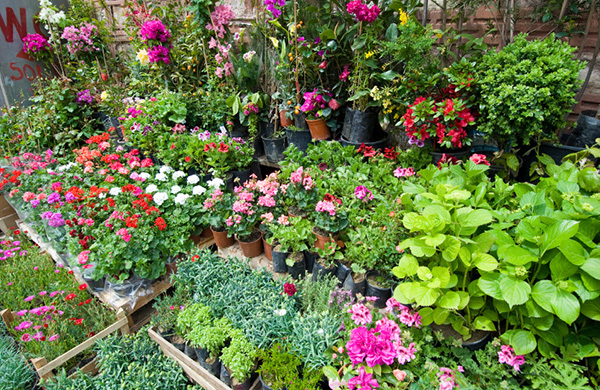 Best of all, the shop boasts ample on-site parking, always a plus when stocking up on the makings for a wow-worthy garden. You’ll find much of the same – in terms of quality and service – at City People’s Garden Store, which has been helping make Madison Valley yards look more beautiful since 1988. The store opens into an ample greenery area, laden with pots of pure garden beauty as soon as the first signs of spring appear. During the gloomy months of winter, the wide variety of indoor plants for sale help make homes more welcoming. And with the array of canning supplies on the shelves, you can even preserve your summer harvest all winter long. For the true urbanite, one teeny shop in downtown Seattle offers a virtually care-free approach to those who lack a green thumb. Zinnia Garden Bench in Via6 Apartments is part of a collection of shops and restaurants from award-winning restaurateur Tom Douglas, and is perfect for any city dweller who lacks the acres to grow more thoroughly. This storefront specializes in cut flower arrangements and no-fuss terrariums for anyone looking to bring a bit of the outdoor greenery inside. Just make sure to water frequently – this is a city that relies on rain, after all. GAYOT.com serves as a leading worldwide authority on the good life. Millions of readers turn to Gayot's savvy, professional reviews on dining, travel and lifestyle. From "Best of" lists and travel guides, to a searchable restaurant and hotel database, Gayot provides dependable coverage while keeping up with the latest trends and news.